Disney Traditions combines the magic of Disney with the American folk artistry of Jim Shore. 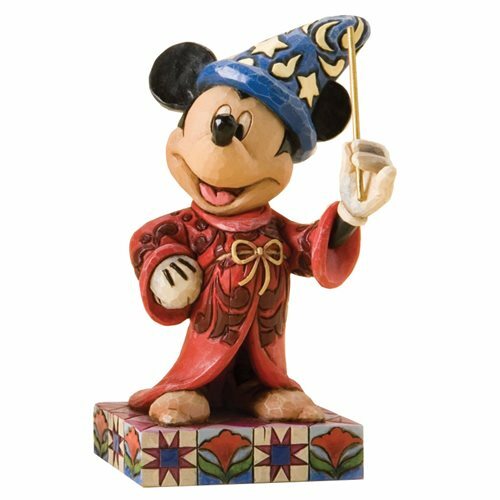 Enjoy Mickey Mouse in his most acclaimed role as Sorcerer Mickey from Fantasia: The Sorcerer's Apprentice, as seen through the eyes of one of America's premiere artists. Made of stone resin and complete with metal gold wand. Measures 4 3/8-inches x 2 1/8-inches.